i once ate a slice of whole wheat bread and almost ended up in the hospital. true story. my tongue went numb, my throat closed up, and i found myself struggling to breathe for a short while. that was a decade (or so) ago, but it's not an experience one soon forgets. [there was a similar situation involving a seaweed-wrapped meat dumpling, but i was less bothered by the latter as it saves me having to explain my non-fondness for sushi]. with the hard-earned realization that my wheat allergy was magnified about a hundred-fold when faced with wheat germ (i.e., the "wholesome" part of whole wheat bread), i set out to avoid the stuff like the proverbial plague. fast-forward to the present, and we're watching the recent BBC three-part series Victorian Bakers, and there's bread... everywhere. i couldn't resist. 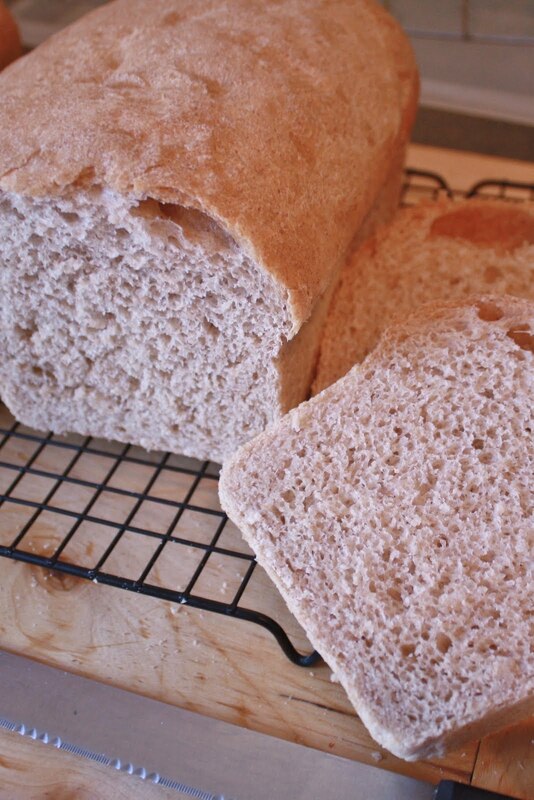 full disclosure: this bread is made with a mixture of whole-grain spelt and (regular) white wheat flours. while spelt is technically a subspecies of common wheat, it contains markedly lower levels of gluten, which makes it an acceptable wheat substitute for some folks who are looking to reduce the gluten content in their diets. with my particular constellation of allergies, i can tolerate some foods containing white wheat flour once in a while, but i generally take a preemptive antihistamine in those cases or avoid those foods all-together if i'm already dealing with some other threat (like during that week or so in the Spring when all the Linden trees in the known universe decide to pollinate simultaneously, much to my dismay). i do, however, avoid foods containing whole wheat flour at all times as i rather enjoy breathing. it should be noted that i absolutely love baking. cakes, cookies, pies and all the rest are okay, but making bread has always been a slice of zen in my universe. i don't own a bread mixer, and i don't want one. 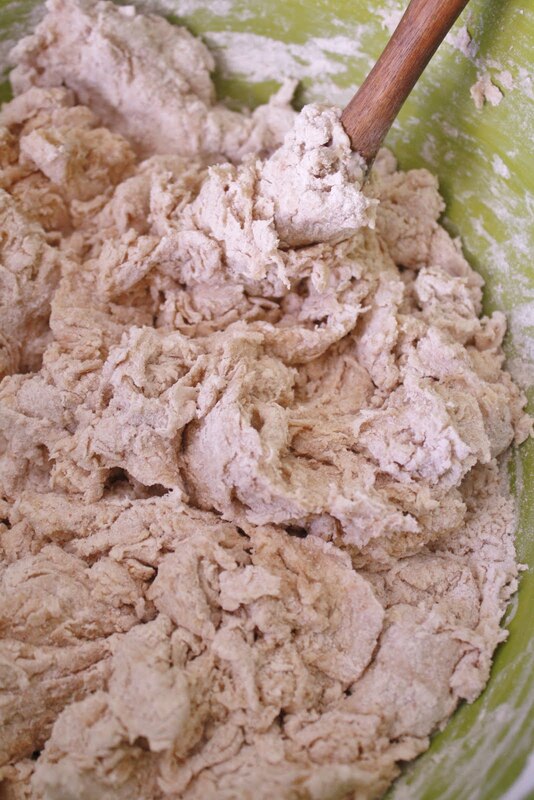 kneading dough the way my grandmother taught me to is a meditation i cherish. this is not an act of necessity (seriously, there is a killer French bakery three doors away from my building). 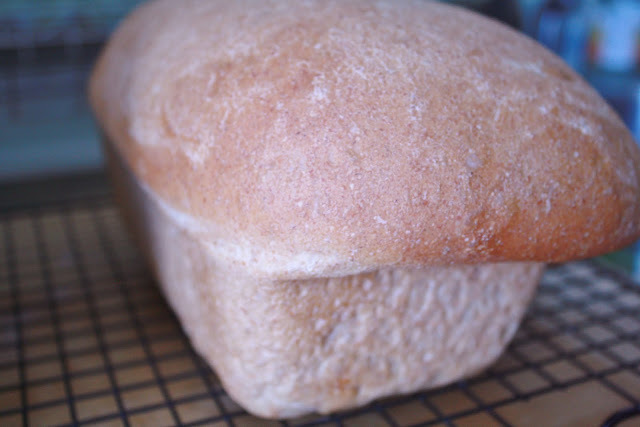 bread making is pure bliss. however, there was a great deal of trepidation and changing of mind on this particular day. 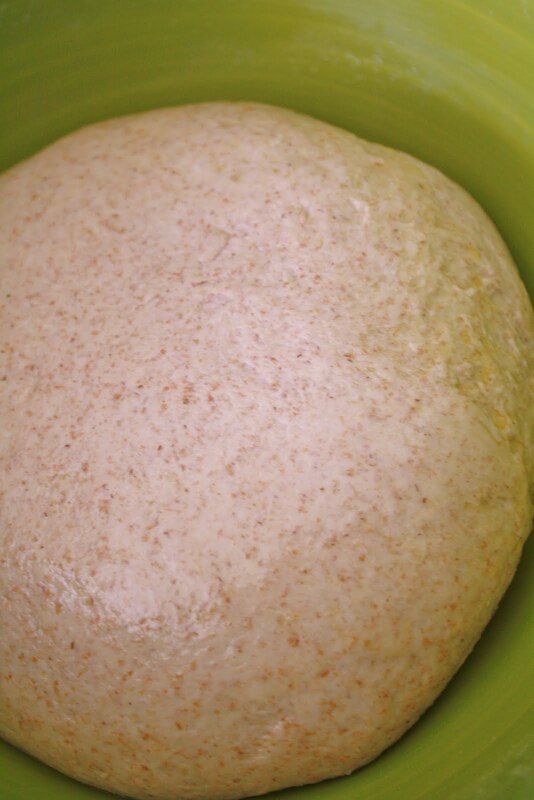 the intent was to combine white wheat and white spelt flours (the gluten in the wheat flour produces a more elastic dough than spelt flour alone, resulting in a loftier bread that is less prone to crumbliness than a straight spelt bread), but i mistakenly purchased whole grain spelt flour. cue concern, detailed instructions to my favorite animator (should it become necessary for him to rush me to the hospital), and a frantic search for my inhaler before i even begin to mix the dough. a saner person would have abandoned the whole idea at this point and settled for a piece of fruit or maybe a strong cup of tea, but that level of absurdity is not compatible with life around these parts. 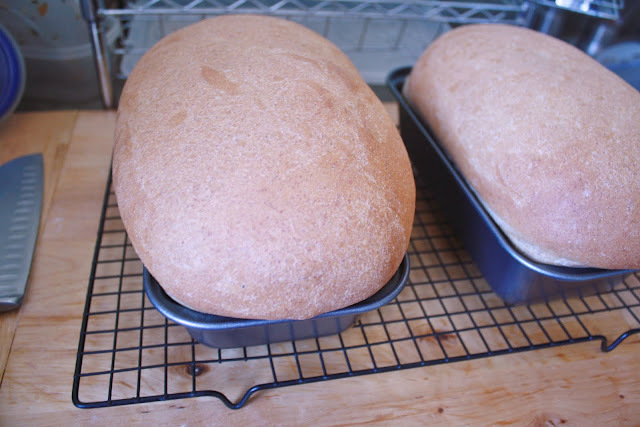 what follows is my so-not-a-recipe approach to making bread. proportions, timing, and all the rest are approximate. grab a large mixing bowl (pictured next to the coffee press for scale). 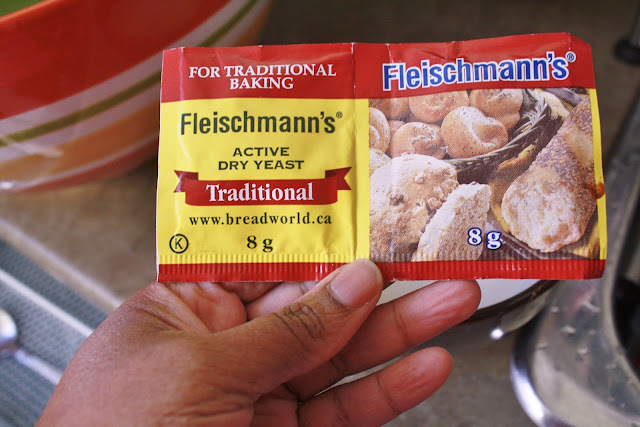 there is always yeast in my fridge, as you never know when you need to make an emergency batch of raisin buns in the middle of the night. begin with 2 (8-gram) packets. then whisk it together and set it aside for about five minutes. 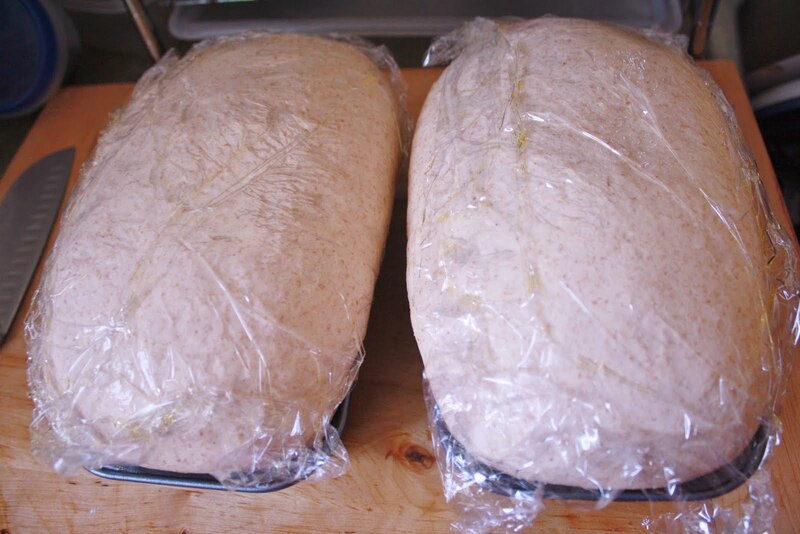 this magical process is called proofing the yeast, which ensures that it is indeed alive. 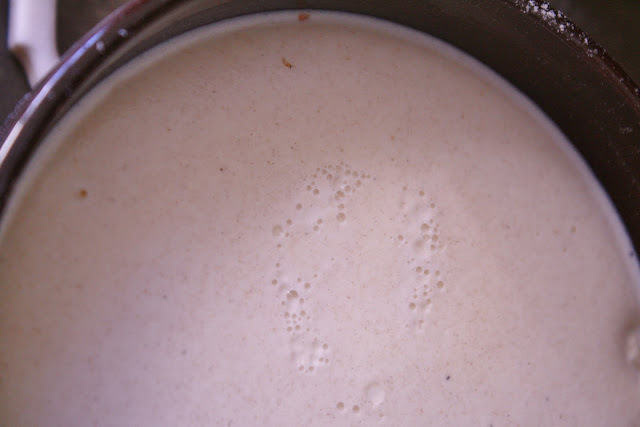 you can skip this step with a lot of the quick-rise or bread machine yeasts, but i prefer to think of it as a way of kick-starting the leavening process before the dough is even mixed. the surface of the mixture should look light and foamy at this point..
and there'll be lots of tiny bubbles. then drizzle in a couple tablespoons of olive oil. 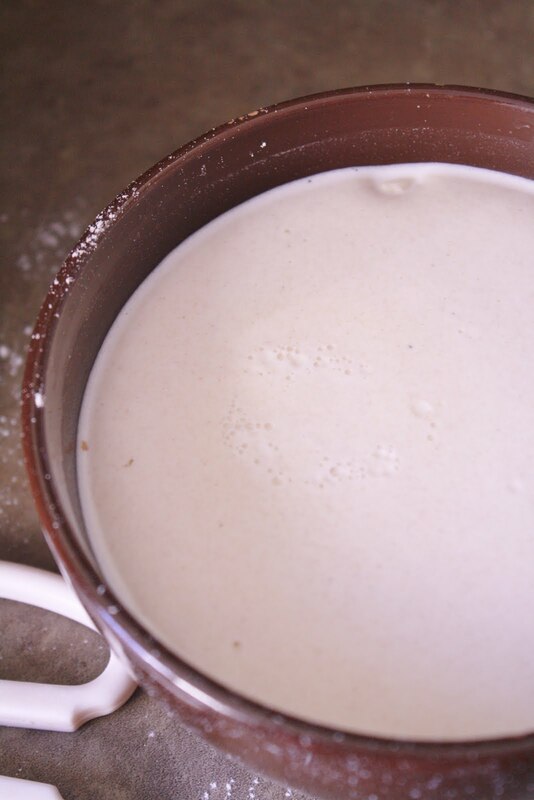 grab a wooden spoon at this point and stir until you have a crumbly mixture. 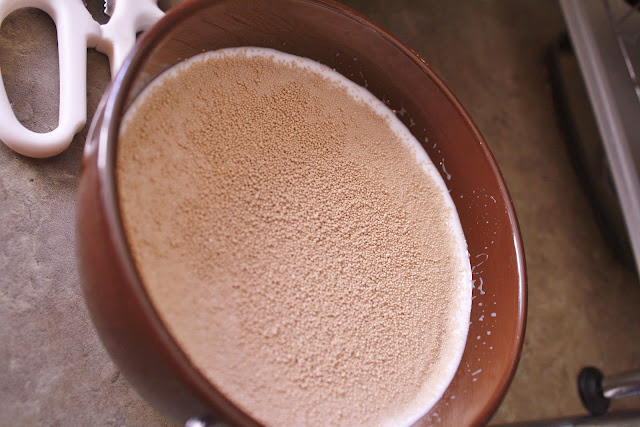 [it was a bit too dry, so i added some warm water, a tablespoon at a time until i liked the consistency]. 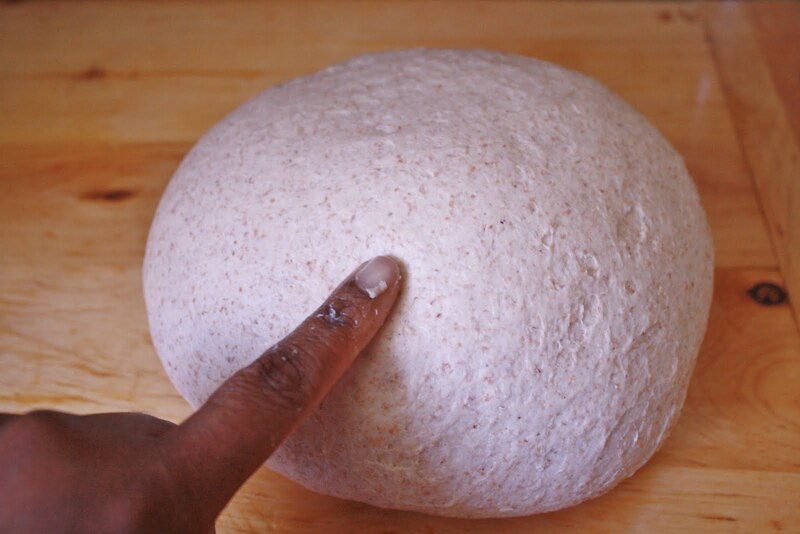 then roll up your sleeves (i was wearing a tank top, but you get the point) and knead until you have a ball, then keep on kneading for several more minutes. this is the meditative part. 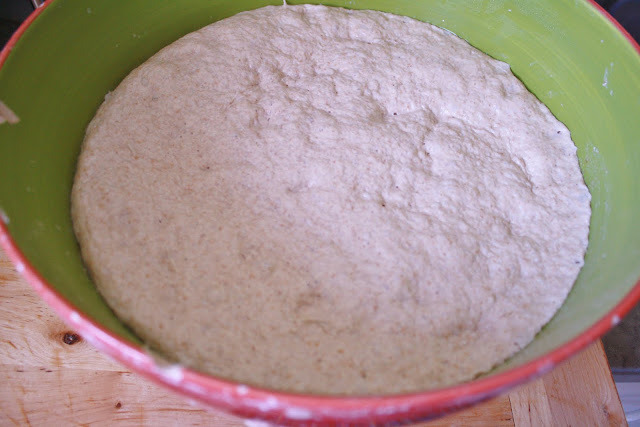 i don't bother to break out the pastry board as the curved edge of the heavy bowl provides a perfect surface against which to knead the dough. 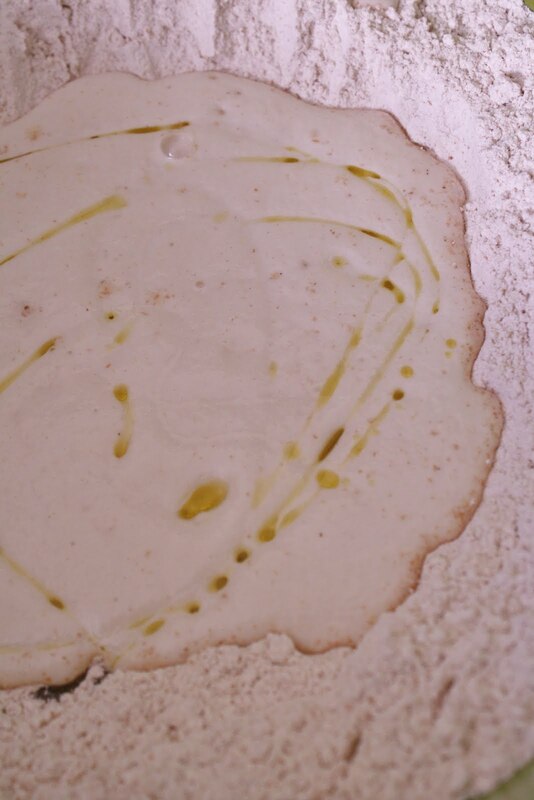 remove the dough from the bowl just long enough to drizzle in a bit of olive oil, then return the dough to the bowl and roll it around once or twice to coat lightly with the oil. 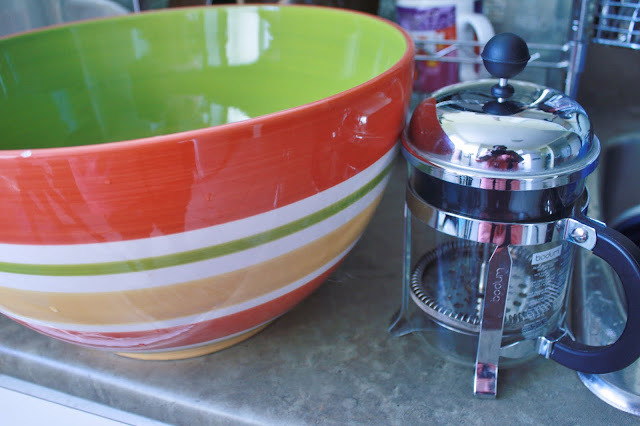 cover the bowl with plastic wrap and set aside for at least an hour, but don't panic if you lose track of time for a couple-few hours. i stuck the bowl in the (unheated) oven, watched a couple episodes of some random show, then got back to it about an hour and a half later. 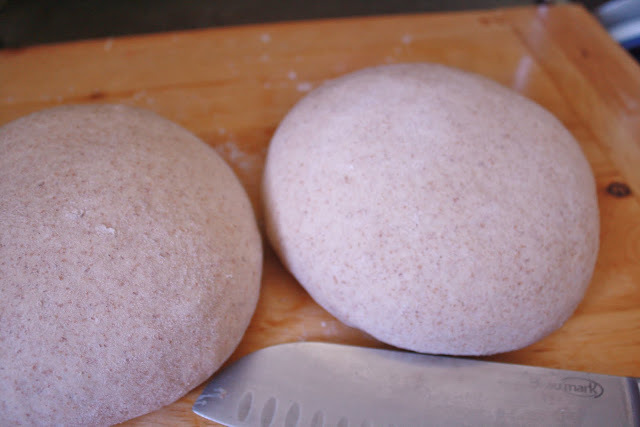 because of the low gluten content of spelt, this dough tends to lose that rounded shape as it rises. punch it down in the middle. i turned it out onto the pastry board at this point and kneaded it for about a minute to remove all the pockets of air. 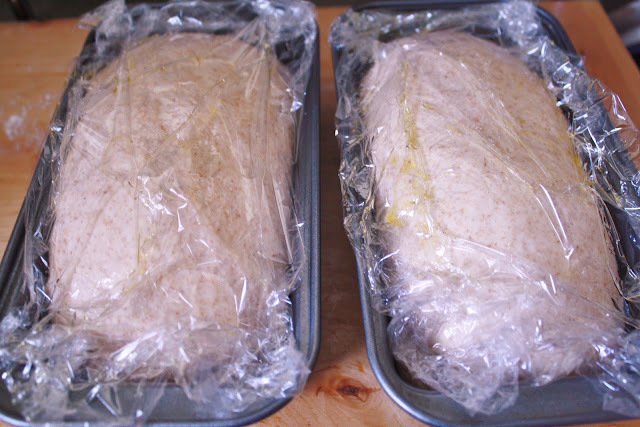 cover very loosely with plastic wrap that has been lightly brushed with olive oil (i reused the wrap from the bowl). i can't stress enough the importance of both making sure that the plastic wrap is loose (you do not want to restrict the dough during the second rise) and that it is lubricated (there are few things in life as frustrating as trying to remove plastic wrap that has become stuck to bread dough... she says from experience). 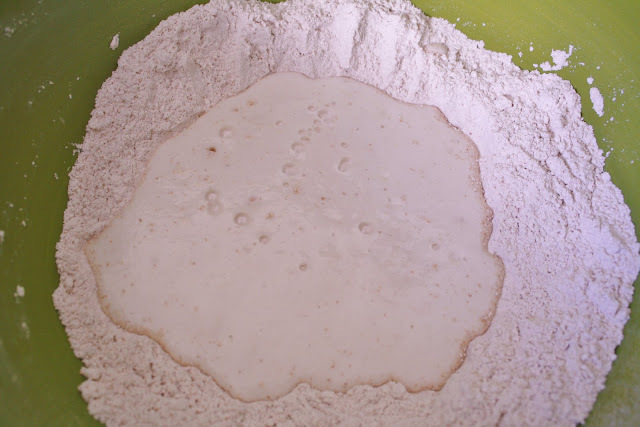 an alternative would be to dust the top of the loves with flour and cover with a clean kitchen towel. while the dough is rising, adjust the oven racks so that there is one in the middle and one near the bottom. place an ovenproof container of hot water on the lower rack and heat the oven to 400°F. 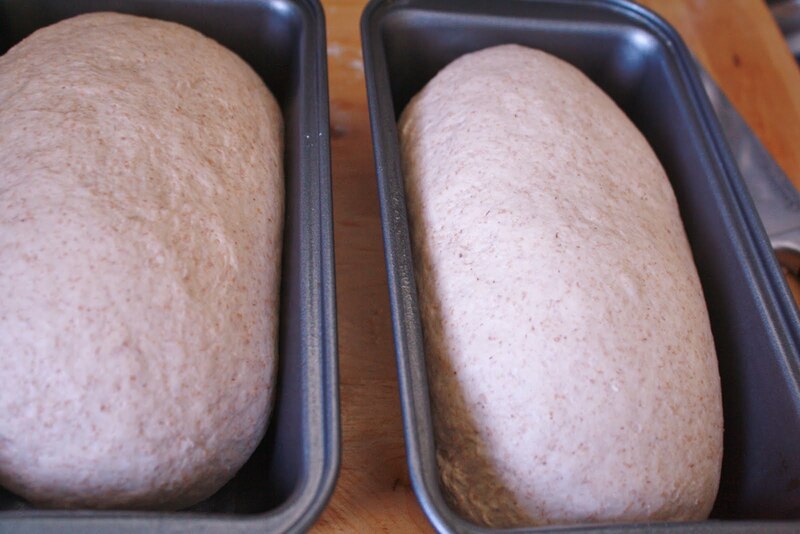 carefully remove the cover from each loaf, and bake the bread in the middle of the oven for about 30 minutes, until it has an even color. the test for doneness comes with experience. 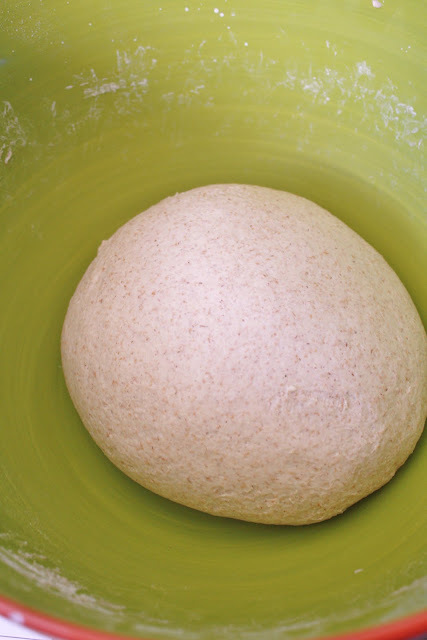 carefully turn a loaf out of the pan and tap the bottom a few times. it should sound hollow. place the loaf on a cooling rack (sans baking pan... i removed the pans right after i took the photo). repeat with the second loaf. for best result, cool completely before cutting, but what are the chances that i followed that advice??? it has that lovely, nubbly texture you'd expect from whole grain bread combined with the nutty, slightly-sweet taste of spelt. one loaf went into the freezer and the other one... well, it was so very yum. and i'm still alive! i also added a new tea to my "stop being crazy and go to sleep already" collection. 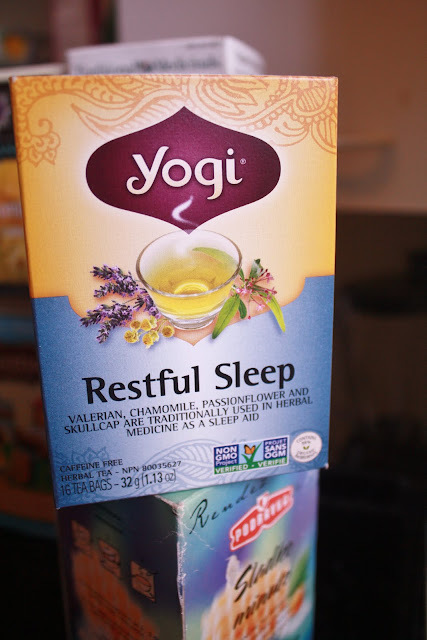 Yogi bon sommeil (restful sleep). 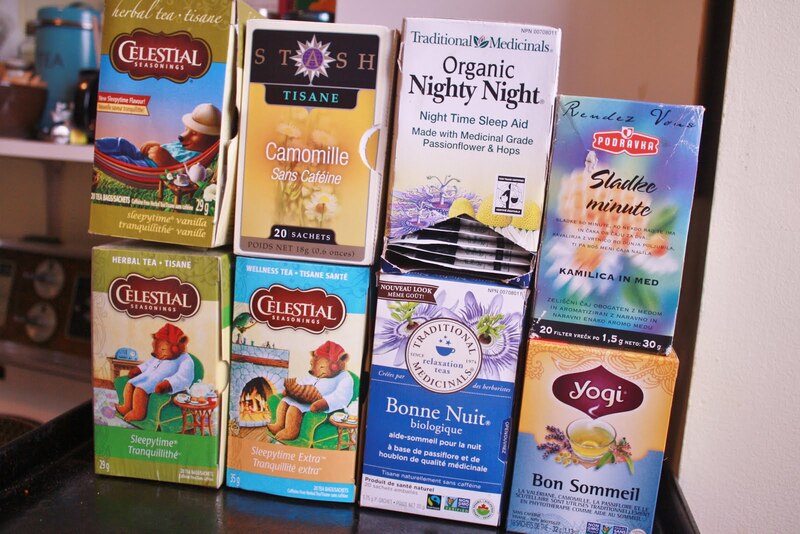 this one contains most of the good sleep-promoting herbs, so i'm hoping it will be effective. now, if only they made a blend to cure the crazy.